At some point in this automobile-dependent world, you'll likely need some serious muscle to help with a car problem. Commuting drivers need simple car jacks for emergencies while fellow gear heads may want a floor jack to handle demanding jobs in the garage. 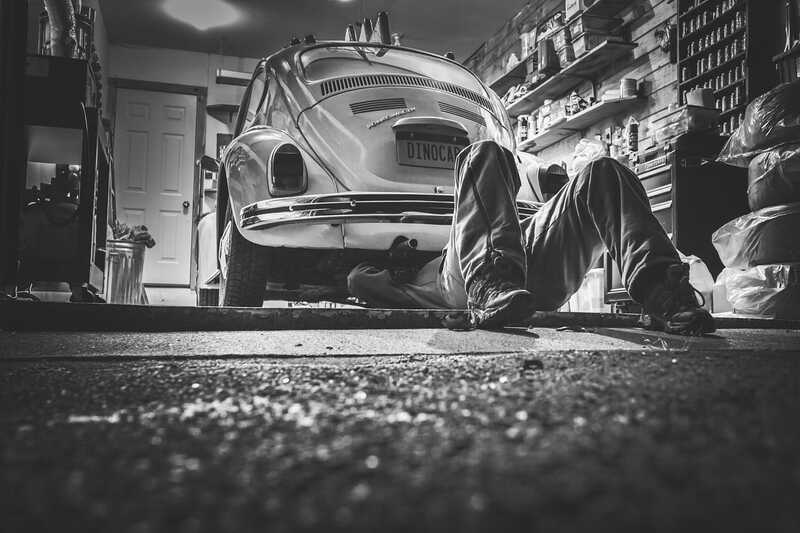 Your choice in tools should center around needs such as changing a flat tire late at night or lifting and holding a classic hot rod in place with car ramps for a weekend oil change. Regardless of use – emergencies only or regular lifting – you’ll want to trust the equipment holding up a vehicle that weighs several tons. Any vehicle slipping off its perch can turn from fun to fatal in a matter of seconds. 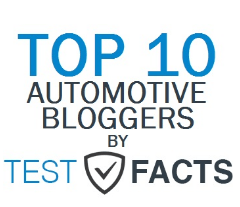 You need to trust these tools to keep your vehicle secure and keep you safe. Car jacks and auto ramps, while similar in function, have different uses. Understanding the pros and cons of these tools can save you money as well as keep you safe. I’ll walk you through top picks for these products and guide you through how to use them. 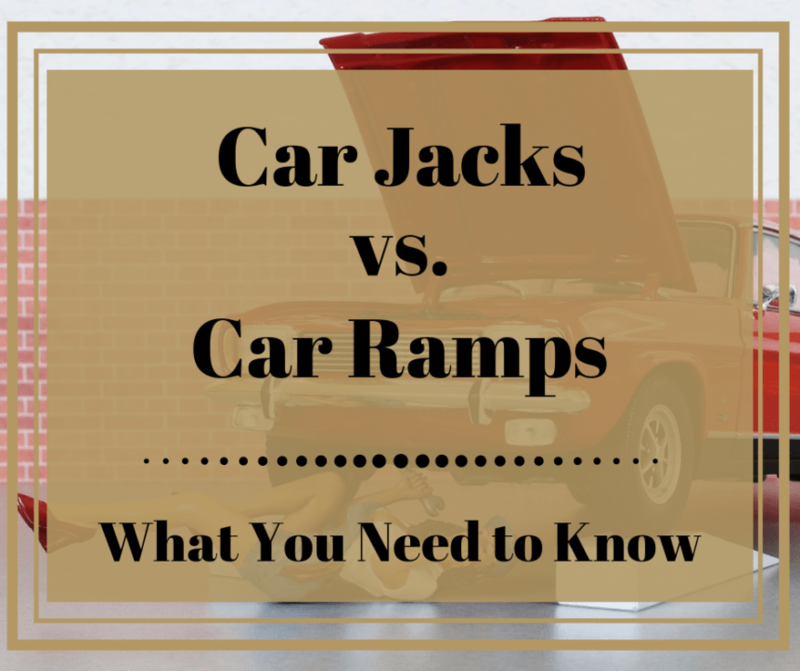 The comparison between jacks and ramps may seem like overkill, but it's important to understand how both tools can help when needed. You’ll also want to consider cost compared to how often you’ll use either tool. Trying to find the best jack or ramps presents an unending list of options. 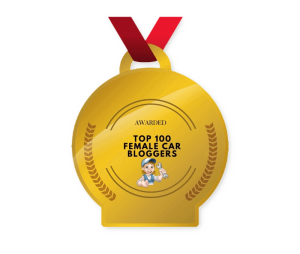 I’ve categorized options and put together my top selections of each. These choices can help you determine your need and select a tool that delivers as promised. Choosing a car jack depends heavily on how you plan to use this tool. There are three main types: scissor jacks, bottle jacks, and floor jacks. Always check your vehicle weight and compare that to the weight capacity of each jack. Scissor jacks are standard with most newer passenger vehicles. They are easily stored next to spare tires or in small compartments in the backs of minivans or SUVs. These are simple tools: just place them under the lift point on the frame of a vehicle, turn the supplied handle, and the jack spreads like scissors while lifting the vehicle. Scissor jacks aren’t heavy duty and are used mainly for emergencies, such as changing a flat tire. These jacks are lightweight and compact for ease of use. Bottle jacks, also known as hydraulic jacks, are portable and durable, and they can lift and hold much more weight than scissor jacks. Bottle jacks actually look like a bottle, but their hydraulic capabilities can lift bigger vehicles, like large SUVs or pickups. About the size of a gallon jug, bottle jacks are often carried as a backup in passenger vehicles but easily serve as main jacks for larger vehicles. Bottle jacks deliver in emergencies out on the road while also serving as a heavy-lifting tool in auto garages. Floor jacks are not as portable as the scissor and hydraulic jacks and are mostly used in home or commercial auto garages. These jacks are heavier, roll across the floor on wheels, and can lift heavy vehicles with just a few pumps of the handle. 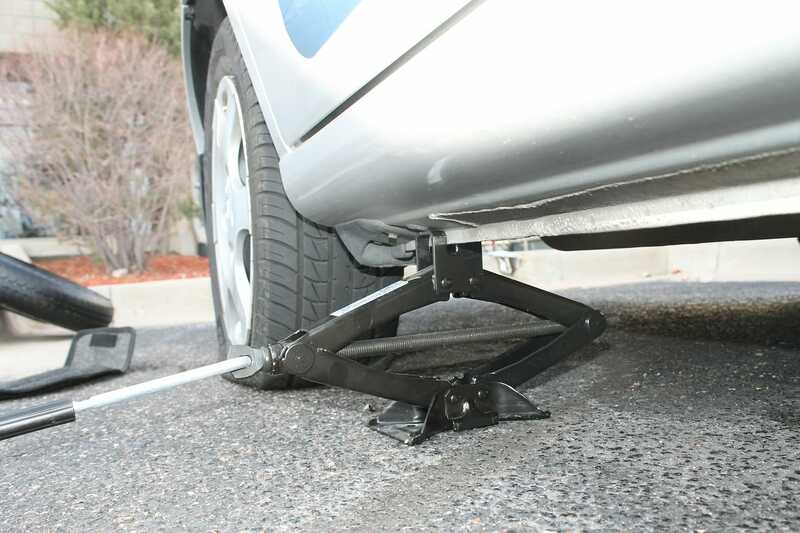 Most car enthusiasts invest in floor jacks if performing regular maintenance or extensive repairs. Within a garage setting, floor jacks are convenient to use and powerful when heavy lifting is required. This scissor jack is affordable, compact, and highly rated among car care professionals and users. New vehicles come with a basic jack, but the Torin provides a nice replacement or can be used as extra security for heavy commuters. It’s also convenient for quick use in the garage. The Torin design collapses to a surprisingly smaller size while providing reliable and stable lift. The folding handle is ready for use when needed. While it weighs about 8 pounds, it has a 1.5-ton lift capacity (about 3,000 pounds). It is best for lighter vehicles and basic uses such as changing a tire. Its steel construction adds to the rugged durability of this compact car jack. Its lift range of 4-1/8” to 15-1/8” provides plenty of room for most emergency and maintenance needs. IMPORTANT: Do not try to go beyond the highest lift range, regardless of what scissor jack you use. The higher you lift the vehicle the more you decrease the jack’s stability. Always stay within safety guidelines. This is one tough car jack with plenty of lift for most uses. The Craftsman hydraulic bottle car jack can replace the one that came with your vehicle or be used as convenient “muscle” in the garage. Craftsman built this with a wider, rugged base for added stability while supporting the heavy duty 12-ton lift capacity. It extends from 9-1/2” to 18-5/8” for ease of use. I can use this hydraulic jack for emergencies on the road when commuting or carry it with me off-road for more rugged jobs in a pinch. There is more than enough lift in this jack to get heavier vehicles, from SUVs to pickups, placed onto jack stands in the garage, too. Weighing almost 17 pounds, it takes a little extra muscle to handle this bottle jack. The added weight is balanced by the compact size, small enough to fit inside the tool compartment of a sleek sedan. The two-piece handle snaps apart for storage. This jack provides enough lift and support that, for most drivers, it delivers an all-in-one package for essential needs. This is a high-quality floor jack suited for most uses in a home or professional garage. The Arcan ALJ3T aluminum floor jack has a 3-ton lift capacity with low clearance. You can scoot this beast under a low-profile vehicle or take on the extra lift height of a pickup. This floor jack lifts from 3-3/5”: to 19-2/5” and its hefty, 56-pound framework provides reliable support. Unlike scissor or bottle jacks, floor jacks aren’t meant for storage in your vehicle. 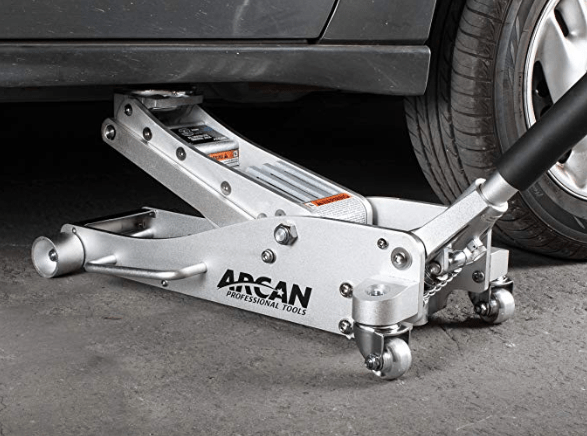 The Arcan floor jack provides a professional option for car enthusiasts at home or a dependable work tool for professional automotive shops. The Arcan delivers fast-rising action that’s built to last after years of lifting your car, pickup, or SUV. This floor jack provides enhanced safety features for the user and vehicles. Users have less strain pumping the handle thanks to fast-rising hydraulics, and the jack rolls easily across the floor despite weighing more than 50 pounds. Well-designed bypass and overload valves help prevent extending the jack beyond its height capacity. A rubber saddle pad protects the jack from damaging vehicles during lifting while the 3-ton lift capacity holds vehicles in place. A floor jack with the Arcan’s features is not cheap. This jack is an investment. 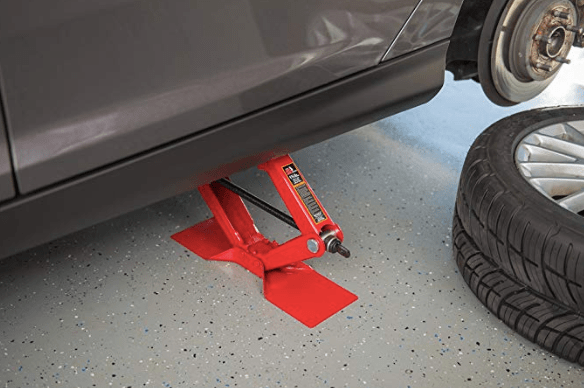 The Arcan ALJ3T aluminum floor jack’s features and performance are worth the investment to anyone maintaining or repairing vehicles regularly in a garage setting. Selecting the best car ramps boils down to the type of maintenance your vehicle needs. Ramps are simple to use – just drive your vehicle onto the ramps for enough lift to get underneath to perform repairs or regular maintenance, such as oil changes. I recommend adding jack stands along with the car ramps for added safety. Your vehicle make and model will help determine which car ramps are best. Low-profile vehicles need longer car ramps to get to a proper lift height while heavier vehicles require more weight support. Always check your vehicle weight against the maximum weight capacity of car ramps. Important: When choosing which auto ramps to use with your vehicle, be sure to consider construction material, safety ratings, and weight capacity. 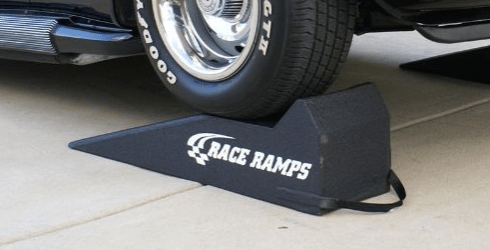 The brand Race Ramps delivers a set of lightweight, sturdy car ramps that can support sports cars and many larger vehicles. I like how these 40" ramps are easy to move around with the built-in carry strap. Don’t let the lighter construction (they only weigh 8-1/2 pounds each) deceive you...these ramps can support 1,500 pounds per ramp, or a total weight of 6,000 pounds per set! Various models of sports cars with tires up to 8" wide can roll onto these ramps. Smaller pickups and SUVs will rest nicely atop these ramps. Race Ramps RR-40 are made of durable, high-density plastic and can be used indoors or outdoors. Ramps tend to move a bit as you hit the gas to get your vehicle onto them, but the company describes them as “unscootable” on most surfaces. That's a major plus for me. Race Ramps also states the ramp material won’t scratch or mark garage floors. 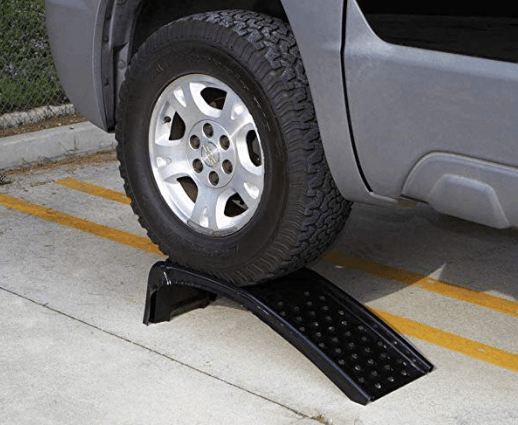 Once your car is in place, these ramps provide plenty of room to maneuver under the car. Clearance is a plus, especially with lower-profile cars. It’s good to know users report enough clearance for even a milk crate to rest beneath a sports car sitting on these ramps. This set of ramps might be a good fit if you want a “no fuss” set of auto ramps for the casual or professional work environment. If you’re searching for rugged car ramps, the Nicky Nice Solid Steel Auto Ramp Set might be the choice for you. Each ramp supports 2,000 pounds of vehicle weight, maximum 6,500 pounds total vehicle weight. These are a good fit to support regular maintenance such as oil changes or general car repairs. 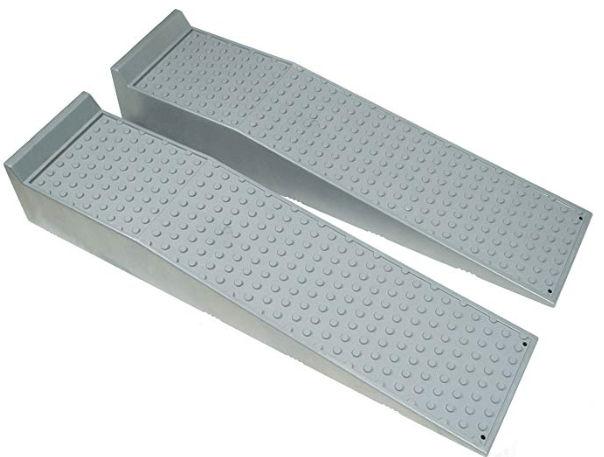 At 9" tall, these heavy-gauge steel ramps provide enough clearance for most do-it-yourself jobs. It’s not necessary for tools to look nice, but I do like that these ramps arrive powder-coated for a durable finish. The punched traction holes of these steel ramps give tires more grip capability. The raised ridges on the sides and back of the ramp offer safety from slipping off the ramps. At 13" wide, these ramps lessen the possibility of flipping if the car is driven onto the ramps properly. I like that these Nicky Nice ramps are affordable and extremely durable. They're a great investment for any garage or auto shop. These Bunkerwall vehicle ramps may seem extreme, but their reliability is nearly unbeatable. Bunkerwall professional grade BW4211 ramps support 10 tons total vehicle weight – enough weight capacity for a tractor or a recreational vehicle (RV). Cars, pickups, and SUVs are nothing for these sturdy ramps. Low-profile vehicles easily drive onto these ramps at 47 inches long and 8.6" high (allows for 6.5" of lift). This provides ease of use and comfortable access under the vehicle. At 11.4" wide, these ramps accommodate wider tires. I really like that so much support is packed into these high-density plastic ramps, yet they only weigh 20 pounds each and have carry handles. The professional quality of these vehicle ramps can be used indoors or outdoors on flat surfaces. Bunkerwall promotes its base’s tread pattern as reducing slippage with rubber grips that don’t wear down easily. If it’s important your ramps deliver many “must haves” out of the box for home and professional garage use, Bunkerwall ramps are the place to start. The initial cost pushes $200 per set but I would recommend these because of how well they work, and they should last for years. I also appreciate how Bunkerwall promotes itself as a veteran-owned business that focuses on customer service. Car jacks and car ramps have similar uses, so safety is important with these tools. A car that slips off either can cause serious injury. Always refer to your vehicle manual for proper lift points and vehicle weight, and always follow all jack and ramp instructions. Make sure the car is on a hard, flat surface such as a driveway or garage floor. Chock wheels with wedges designed for car maintenance. Make sure the emergency brake is engaged while you're working on the car. Double-check the car is in park (or first gear for manual transmissions). For jacks, raise the vehicle using designated lift points. Do not exceed the maximum lift height for the jack. For ramps, align the ramps in front of the wheels first. Carefully drive your car onto the ramps. Deciding between car jacks and car ramps isn’t a competition. The key is why you need to lift your car. Car jacks are convenient and portable, and most people use them during driving emergencies, such as changing a flat tire. It’s simple to lift one side of a car, take care of the problem, and get down the road for further repairs as needed. Car ramps aren’t going to conveniently fit in the trunk of your sedan and aren’t used to change a flat tire. Car enthusiasts who love to get under their car and get their hands dirty tend to get tired of using a car jack to lift a vehicle. Car ramps provide support and lift needed for repairs and maintenance that take time to complete. Most car enthusiasts like myself own several types of car jacks and sometimes more than one set of auto ramps. If you rarely work on your own vehicle (oil and tire change service centers are inexpensive these days), a quality car jack stored in your vehicle for emergencies may be all you’ll ever need. 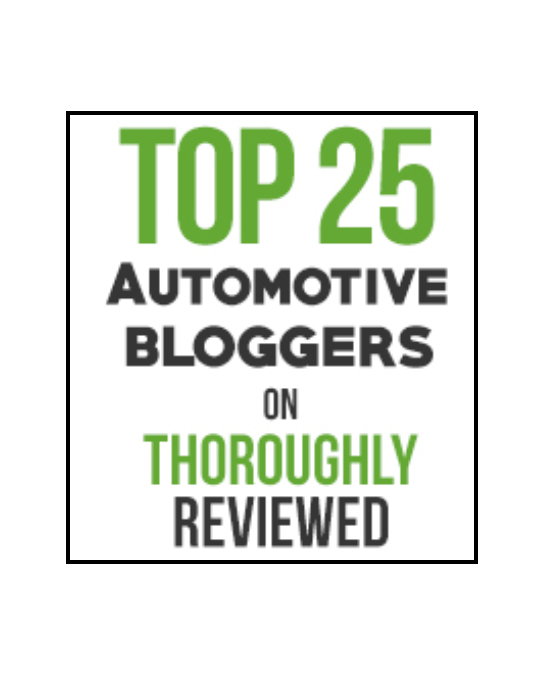 If you plan to join the world of car enthusiasts and tackle your own vehicle maintenance and repairs, quality car ramps might be a good purchase. As with all tools, I recommend spending extra to get the best tool for the work needed. 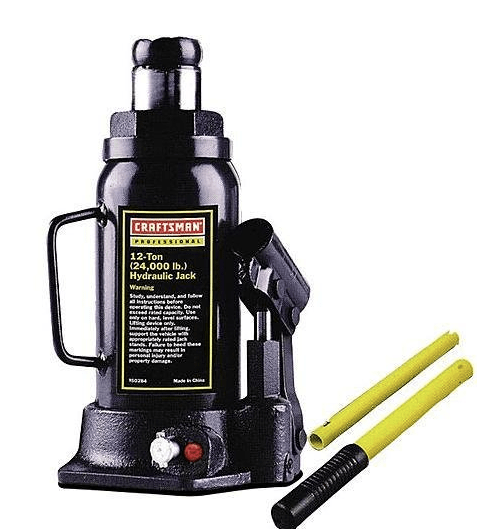 The Craftsman hydraulic bottle car jack for me is a better tool for emergencies on the road. I’ll spend the money for the Arcan aluminum floor jack to get things done in my garage. With the Bunkerwall professional-grade ramps I know my vehicle is supported and I’ve got an extra layer of safety working in my favor. Make sure your car jack or car ramps are a good fit for your needs.